FROH Foundation is an international NGO dedicated to helping people through alternative healing methods and somatic-based coaching. 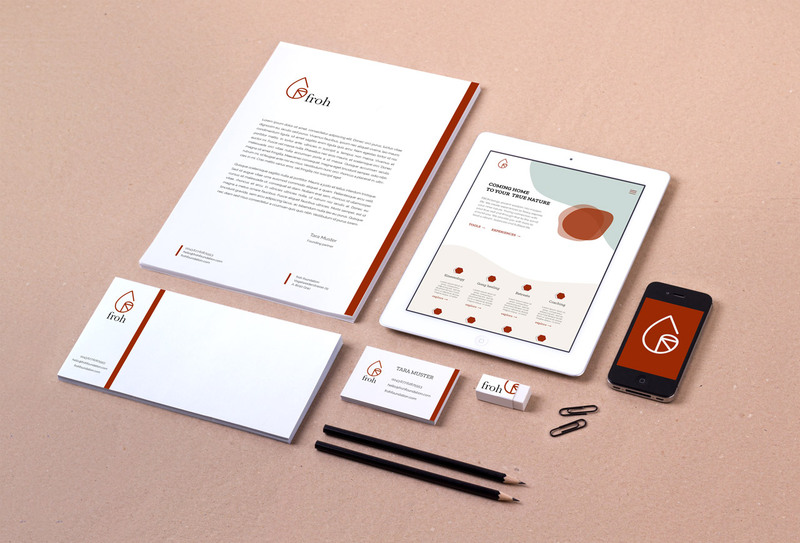 The foundation needed a new branding that would unify the multiple aspects of their work under one conceptual and visual roof, as well as a web-platform to showcase their services and offers. The main challenge was to identify the common ground between various target groups and distill it into a clear brand narrative, as well as to find an underlying structure behind the multiple offers and translate it into a user-friendly intuitive structure on the website. The band mission statement and overall narrative was established through a series of workshops with the client. Based on the outcome, a visual identity, including the color scheme and the logo, was developed. The logo reflects the foundation’s brand promise – “Coming home to your true nature” – by blending together a leaf (nature) and a nautilus shell (home). The multiple offers of the foundation were analysed and structured into an understandable and comprehensive information architecture, upon which the structure of the site was built.